Fill out the form with any questions or inquiries you have for the sales consultants at Trillium Cove - Pinnacle Series. You can also call or chat with us for immediate responses. The Glenburne is a welcoming floorplan with thoughtful living spaces and functional features, ideal for those who love to entertain. Nestled off the kitchen and gathering room, a large everyday eating area provides plenty of space for casual and formal dining. Set up the flex room as an office or turn it into a guest suite, and keep clutter at bay with the Everyday Entry™. Step inside Glenburne to see the Life-Tested Home Designs® with more usable space where you want it most. So you live the way you want to live. The Glenburne greets you with a gracious the two-story foyer, kitchen, and dining area, opening to the gathering room with large windows for plenty of natural light. An oversized dining nook can accommodate more than ten people comfortably, and an optional built-in kitchen is perfect for entertaining. 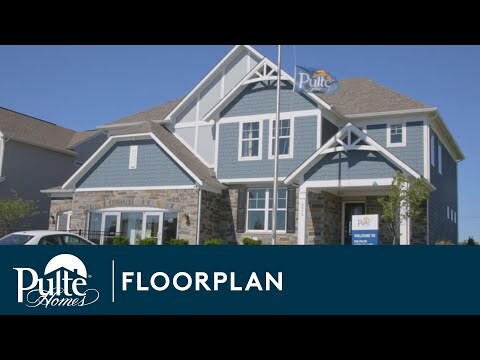 The Glenburne is a welcoming floor plan with thoughtful living spaces and functional features. Nestled off the spacious kitchen and window-filled gathering room, is an oversized dining nook, providing plenty of space for casual and formal dining. Now selling at Grande Reserve in Yorkville.